A telework program gives selected employees the option of working off-site on a full-time, part-time, or temporary basis. Arlington Transportation Partners (ATP) can help companies implement a formal telework program and train management on best practices for supervising teleworkers to ensure productivity and business continuity. ATP works with Telework!VA, an online resource, to help businesses start or expand a formal telework policy. By encouraging employees to perform some or all of their duties without commuting to the office, companies can reduce cost while creating a flexible workplace. In 2018, 70% of organizations offered telecommuting—full-time, part-time, or ad-hoc—as an option for their employees. Telework is quickly becoming an indispensable commuter benefits program for employers seeking to attract, hire, and retain employees in today’s competitive workforce. The number of teleworkers in the DC Metro region has increased from 27% to 32% in as little as three years, with 88,700 commuters teleworking at least occasionally. When implementing a telework agreement, managers need to identity positions that are eligible for teleworking, employee characteristics that are most suitable for telework, and understand the federal employment regulations involved in implementing a formal policy. These employees are more likely to be engaged when teleworking since they are expected to provide the same productive output on site and from their home office. In fact, 57% of employees believe they are more productive while working from home, while 38% say they’re just as productive. Employees who work in an eligible position and demonstrate these qualities typically make the best teleworkers. Telework has become an increasingly attractive business strategy as employers look for ways to respond to workplace trends and changing business needs. 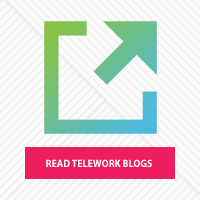 A telework policy demonstrates a commitment to employees’ requests for more work-life balance. Businesses located along the I-66 and I-395 corridor will soon be able to receive $10,000 for eligible telework expenses when an employee enters a new telework agreement with assistance from Telework!VA. Having your whole organization on board with the concept of telework can make this type of commuter benefits program a success for both company and employee. A successful supervisor will set clear expectations and manage based on an employee’s performance. Communication, technology, training, and planning can also help managers ensure their workforce is engaged and productive. After setting clear expectations and goals with your employees, it’s important to ensure that your teleworking workforce is engaged and productive. 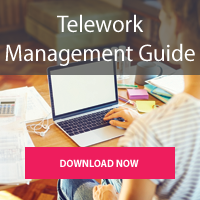 To help you better determine employee eligibility, download the Telework Management Guide, a handbook for managing teleworkers, and use the worksheet at the end of the guide. Flexible scheduling is a commuter benefits program that allows a shift in working hours, where employees can complete tasks outside of core business hours. With a flexible schedule, an employee still works their full day, but scheduled start and end times may vary. Flex scheduling allows for an employee to reduce a workweek in some way. Allowing employees to have a flexible schedule helps reduce commute stress and time while increasing productivity by avoiding peak commute hours. Four/Forty (4/40) Schedule: Employees work the usual 40 hours in four 10-hour days. The fifth day is a day off. Nine/Eighty (9/80) Schedule: Employees work their usual number of hours in a two-week pay period in nine days. The tenth day is a day off. The Commuter Connections Flextime Rewards programs offers registered commuters that are able and willing to commute during off-peak hours along selected major corridors in the region a monthly prize drawing for a chance to win a cash prize. If interested in the flextime rewards program, visit Commuter Connections to learn more about the program and eligibility.